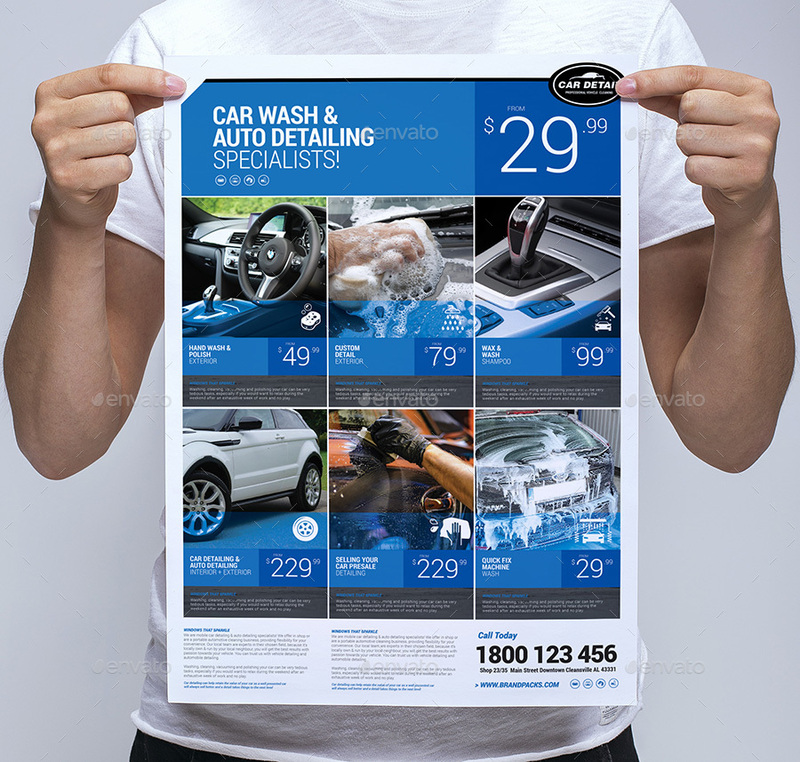 An A3 poster template ideal for car detailing shops, car wash services, auto repair, car sales & other vehicle related businesses. 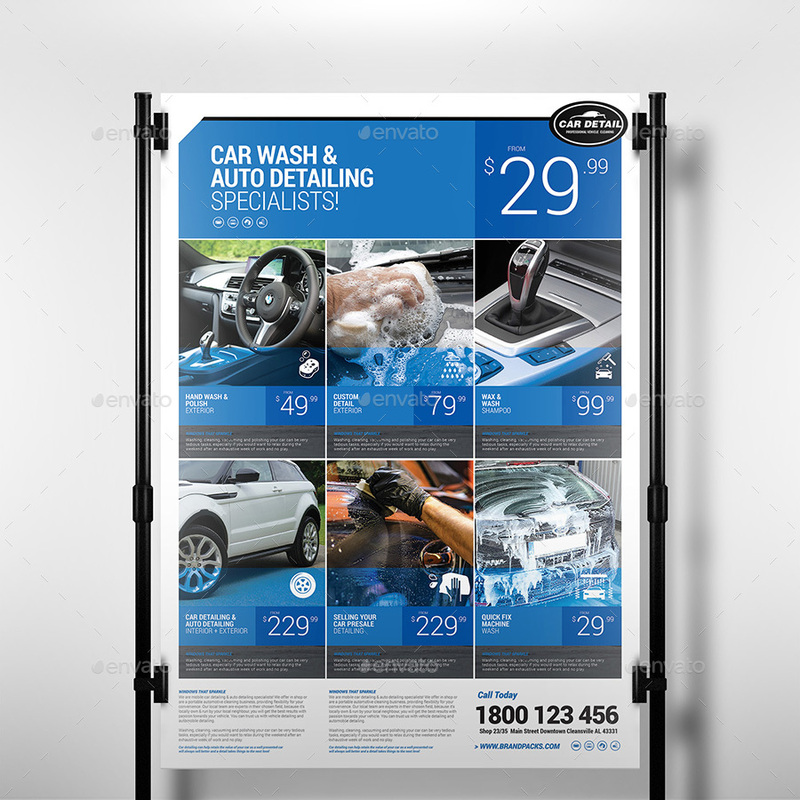 Easily create posters, banners & signage to promote available services, packages or available cars for sale. Quickly & easily customise all text and image placeholders with your own information & photos. Please note stock photos are used for preview purposes only and are not included in the final download.